This research report offers a concise but thorough survey of smartglasses as a form factor, examining current design trends, key capabilities and functions, and major stakeholders in the augmented reality industry. 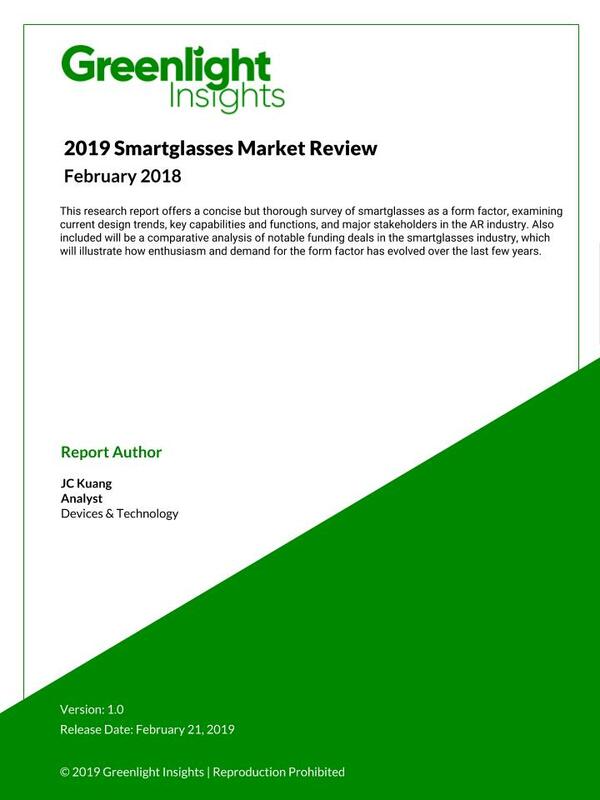 2019 Smartglasses Market Review offers a concise but thorough survey of smartglasses as a form factor, examining current design trends, key capabilities and functions, and major stakeholders in the AR industry. Also included will be a comparative analysis of notable funding deals in the smartglasses industry, which will illustrate how enthusiasm and demand for the form factor has evolved over the last few years.